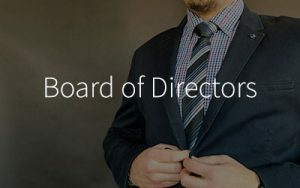 The primary objective of the Audit Committee is to establish a documented, formal and transparent procedure to assist the Board in fulfilling its fiduciary responsibilities relating to corporate accounting, financial reporting practices, system of internal control, the audit process and the process of monitoring compliance with laws and regulations. fulfils such other requirements as prescribed or approved by Bursa Malaysia Securities Berhad. The Audit Committee shall elect a Chairman from among its members and the elected Chairman shall be an Independent Director. No alternate director shall be appointed as a member of the Audit Committee. The term of office and performance of the Audit Committee and each of its members shall be reviewed by the Board annually to determine whether the members have carried out their duties in accordance with their terms of reference. 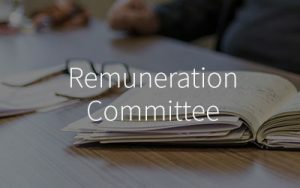 If a member of the Audit Committee resigns or for any other reason ceases to be a member with the result that the number of members is reduced to below three (3), the Board shall, within three (3) months from the date of that event, appoint such number of new members as may be required to make up the minimum number of three (3) members. The Audit Committee is authorised by the Board to investigate any matter within the Audit Committee’s terms of reference. It shall have full and unrestricted access to any information pertaining to the Group and shall have the resources it requires to perform its duties. All employees of the Group are required to comply with the requests made by the Audit Committee. The Audit Committee is authorised by the Board to obtain external legal or independent professional advice and secure the attendance of outsiders with relevant experience and expertise if it considers this necessary, the expenses of which will be borne by the Company. The Audit Committee shall have direct communication channels with the external auditors and person(s) carrying out the internal audit function or activity. The Audit Committee shall be able to convene meetings with the external auditors, the internal auditors or both, excluding the attendance of other Directors and employees of the Company, whenever deemed necessary, in order to enable the Audit Committee and the external auditors or the internal auditors or both, to discuss problems and reservations and any other matter the external auditors or internal auditors may wish to bring up to the attention of the Audit Committee. 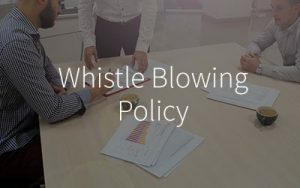 To report to the Board of Directors any suspected frauds or irregularities, serious internal control deficiencies or suspected infringement of laws, rules and regulations which come to its attention and are of sufficient importance to warrant the attention of the Board. To request and review any special audit which the Committee deems necessary. whether there are safeguards in place to ensure that there is no threat to the objectivity and independence of the audit arising from the provision of non-audit services or tenure of the external auditor. To review with the external auditors for the Statement on Risk Management and Internal Control of the Group for inclusion in the Annual Report. 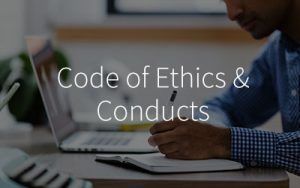 To review any related party transactions and conflict of interest situations that may arise within the Group including any transaction, procedure or course of conduct that raises questions of management integrity. To prepare the annual Audit Committee report to the Board which includes the composition of the Audit Committee, its terms of reference, number of meetings held, a summary of its activities and the existence of internal audit services and summary of the activities for inclusion in the Annual Report and to review the Board’s statements on compliance with the Malaysian Code of Corporate Governance for inclusion in the Annual Report. To carry out any other function that may be mutually agreed upon by the Audit Committee and the Board. The Audit Committee shall meet at least four (4) times in a financial year, although additional meetings may be called at any time at the Audit Committee Chairman’s discretion. Other than in circumstances which the Chairman of the Audit Committee considers inappropriate, the Executive Directors, Group Accountants, the representatives of the internal auditors and external auditors will attend any meeting of the Audit Committee to make known their views on any matter under consideration by the Audit Committee or which in their opinion, should be brought to the attention of the Audit Committee. Other Board members, employees and external professional advisers shall attend any particular meetings upon invitation by the Audit Committee. Where necessary, the Audit Committee shall meet with the external auditors without the present of any Executive Directors and members of the management. In the event the elected Chairman is not able to attend a meeting, a member of the Audit Committee shall be nominated as Chairman for the meeting. The nominated Chairman shall be an Independent Non-Executive Director. Subject to the notice and quorum requirements as provided in the Terms of Reference, meeting of the Audit Committee may be held and conducted through the telephone or any communication equipment which allows all persons participating in the meeting to hear each other. A person so participating shall be deemed to be present in person at the meeting and shall be entitled to vote and be counted in a quorum accordingly. The quorum for a meeting of the Audit Committee shall consist of not less than two (2) members, majority of members present must be Independent Non-Executive Directors. Unless otherwise agreed, notice of each meeting confirming the venue, time and date, together with an agenda of items to be discussed, shall be forwarded to each member of the committee, any other person required to attend and all other non-executive directors, no later than seven (7) days before the date of the meeting. Supporting papers shall be sent to committee members and to other attendees as appropriate, at the same time. The Company Secretary or his nominee or such other persons authorised by the Board shall act as the Secretary of the Audit Committee. The Company Secretary shall record, prepare and circulate the minutes of the meetings of the Audit Committee and ensure that the minutes are properly kept and produced for inspection if required. The Audit Committee shall report to the Board and the minutes of each meeting shall be tabled to the Board for notation. The expressions “in writing” and “signed” include approval by telefax, telex, cable or telegram by any such member of the Committee. A resolution in writing, signed by a majority of the Audit Committee members present in Malaysia for the time being entitled to receive notice of a meeting of the Audit Committee, shall be as valid and effectual as if it had been passed at a meeting of the Audit Committee duly convened and held. Any such resolution may consist of several documents in like form, each signed by one or more of the members of the Audit Committee. 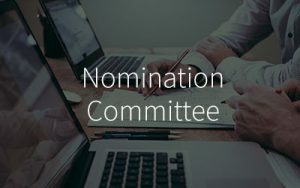 A Director may participate in a Committee meeting by means of a conference telephone or any communication equipment or device that will allow all persons participating at the meeting to hear and speak with each other and shall be deemed as present at such meeting. This Terms of Reference will be reviewed and updated at least once a year to ensure it remains consistent with the Audit Committee’s objectives and responsibilities.